The "for-sale" inventory is shifting away from completed homes toward those under construction or not yet started. According to data from the U.S. Census Bureau, new-home inventory was up 5.5% year-over-year in March. However, the inventory of completed new homes actually dropped 16% over the same period. Only 27% of new homes for sale are completed. With a tightening housing market, the completed share of new-home inventory will continue shrinking as buyers snap up completed homes more quickly and builders lock in buyers earlier. 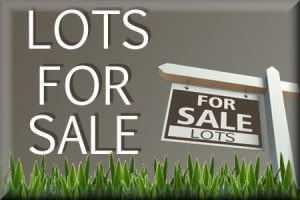 Additionally, new starts are adding to the for-sale inventory that is not yet complete. Tract home builders like Toll Brothers and Ryan Homes are reaping the benefits of this trend. If you are a modular home factory rep, start looking at small communities in your market area and approach independent developers with the benefits of modular construction. Completed new-home inventory dropped from 26% in early 2000 to nearly 21% at the top of the bubble in 2006. Once demand began drying up, the completed share jumped to 49% in January 2009. In the past four years, it has dropped back to 27% as of March 2013. It’s more evidence that builders’ biggest challenge is keeping up with demand. For buyers looking for new construction, they’ll need imagination and patience: imagination in order to picture what the unfinished home they’re bidding on might look like, and patience because they won’t be moving into that unfinished home tomorrow.